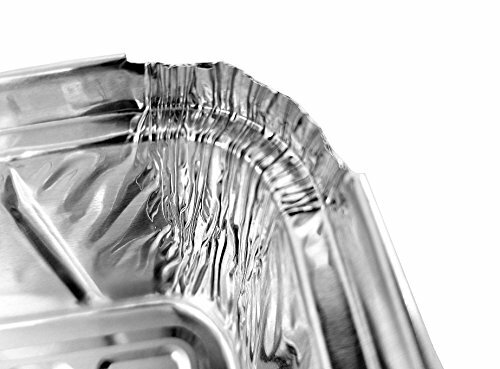 View More In Disposable Cookware - Page 5. 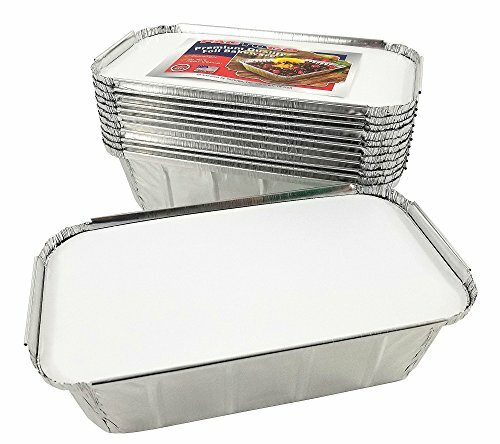 Pack of 50 Sets (50 pans with 50 lids). 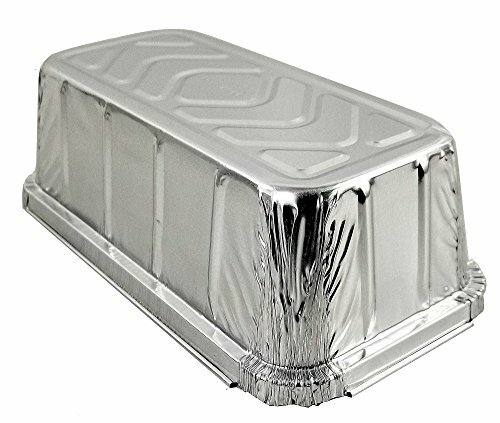 Premium quality 1.5 lb aluminum foil loaf pans. IVC (Interrupted Vertical Curl) rim. The rim of these pans crimp around the lid edges. 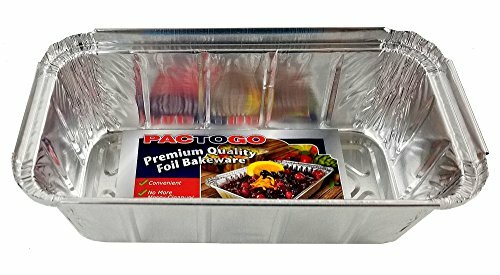 Pans are very sturdy, will not easily crush or bend. OU Kosher Certified, made with 100% recyclable aluminum. Proudly Made in the USA with American sourced materials. 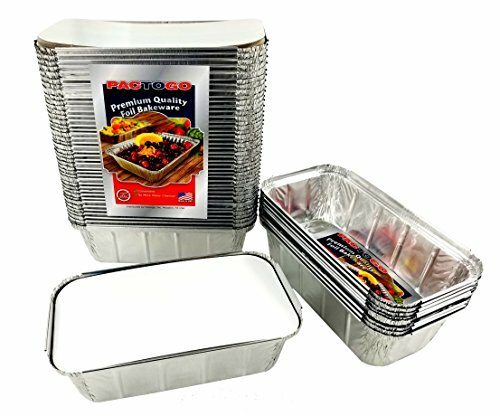 Top Out Dimensions: 8" x 4-1/8"
Top In Dimensions: 7-1/2" x 3-5/8"
Bottom Dimensions: 6-9/16" x 2-11/16"
Pack of 50 Sets. 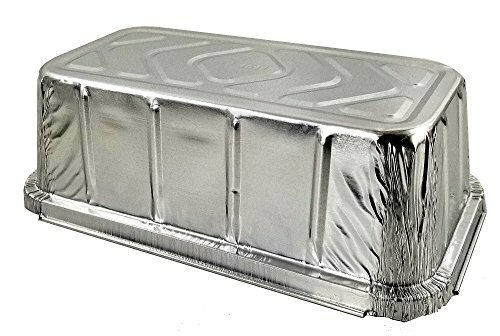 Premium quality 1.5 lb aluminum foil loaf pans with board lids. IVC (Interrupted Vertical Curl) rim. The rim of these pans crimp around the lid edges. 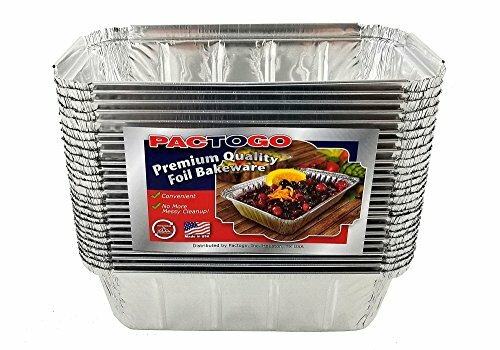 Pans are very sturdy, will not easily crush or bend. OU Kosher Certified, made with 100% recyclable aluminum. Proudly Made in the USA with American sourced materials. 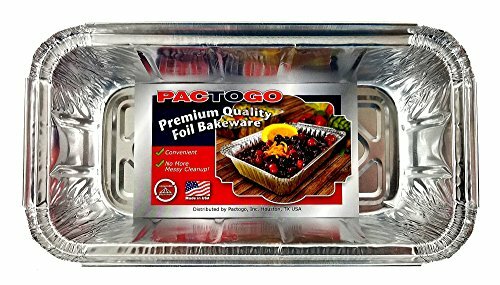 If you have any questions about this product by PACTOGO, contact us by completing and submitting the form below. If you are looking for a specif part number, please include it with your message. 6" Square Coated Cakeboard, 25 ct.